Last year one of my post about using a standing desk for 2 years was ranked #1 on HackerNews for about 10 hours, leading to a huge bump in traffic and real money being made. That landed me on Huffington Post and Fox News and brought well over 100k users to my blog. I detailed that experience here. Product Hunt is a much, much smaller community. And that is intentional. While anyone that signs in can vote, those who are given access to comment are either founders themselves (when their product is posted) or are referred through someone in the community with invites. This means commenters are tech-industry insiders or current CEOs. Power 20 was upvoted 44 times. Nine of those were from friends and one was from myself. Despite having far fewer contributors, the Product Hunt community is very, very engaged. As you can see from the graph above, my traffic on the Power 20 website didn’t soar to astounding heights. Most of my sales come from discovery on the app store and from inside the app, so that’s ok with me, but in this case, after one week on Product Hunt, revenues increased by 59% compared to the previous week. 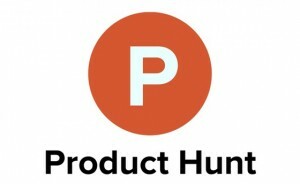 Product Hunt users are engaged and are willing to spend on products recommended there. Beyond just buying the app, they also explored my site. The average time on my site from Product Hunt visitors was 1:28 and the bounce rate was 50.64%. Most people who upvoted my app were tech company CEOs. There were just a few commenters, but they included Trevor Owens, James Pember, and Brad Feld. These gentlemen have a combined Twitter following of over 200,000. In conclusion: it may not change your life, but it’s all positive. These are early days for Product Hunt and no doubt as it grows, so too will it’s ability to give companies at least a temporary but meaningful lift in reputation and sales. But as I’ve said before, winning the attention of press is awesome, but it should never be a company’s primary customer-acquisition strategy. I use Power 20 four days a week and do one day of weightlifting. My diet, meditation, and routine are all part of the Power 20 Method. Get the apps: you'll love them. 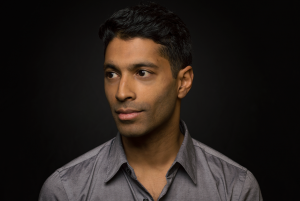 Arshad founded MetroNaps (nap pods for offices), InterviewJet (e-recruiting), and Power 20 (exercise apps). These businesses are privately held, profitable and growing. Will Asian Industrialists Survive Disruption? Get notified when new content is created about hiring, fundraising, or any other topic related to startup entrepreneurship.